Having trouble fitting your resume into one page? Already have a single-page resume and want to upgrade its looks to wow the employer? Below, you’ll find a gallery of beautiful one-page resume templates hand picked from hundreds of one-pagers available online. 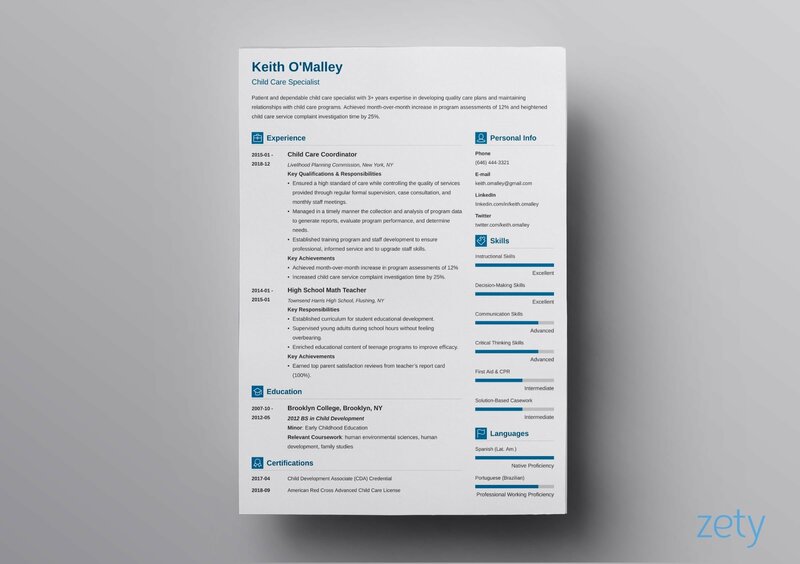 One-page resume templates better than 9 out of 10 other resumes. 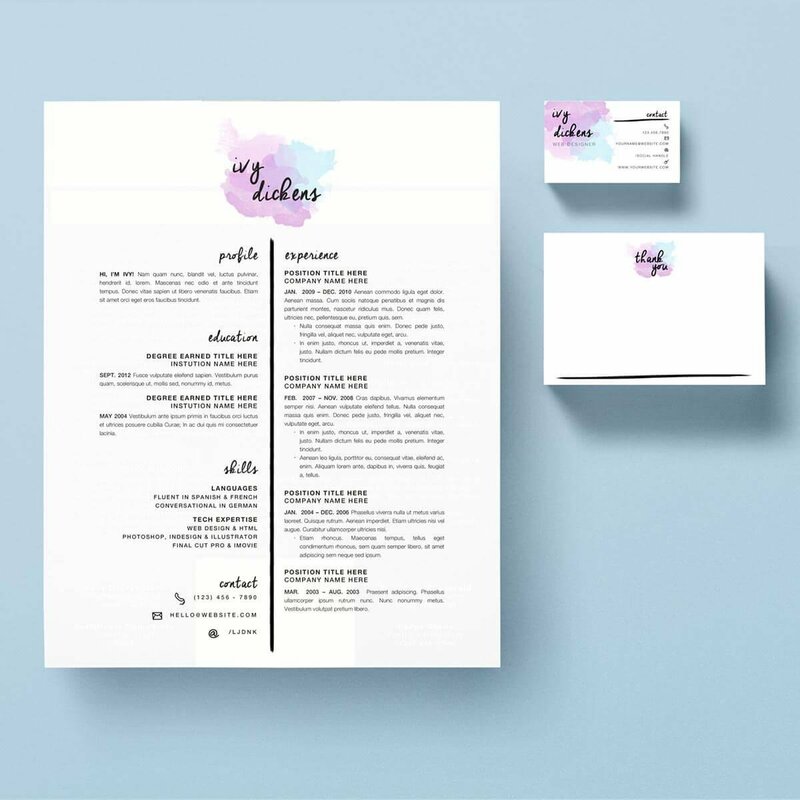 Professionally designed resumes that will make hiring you a no-brainer. 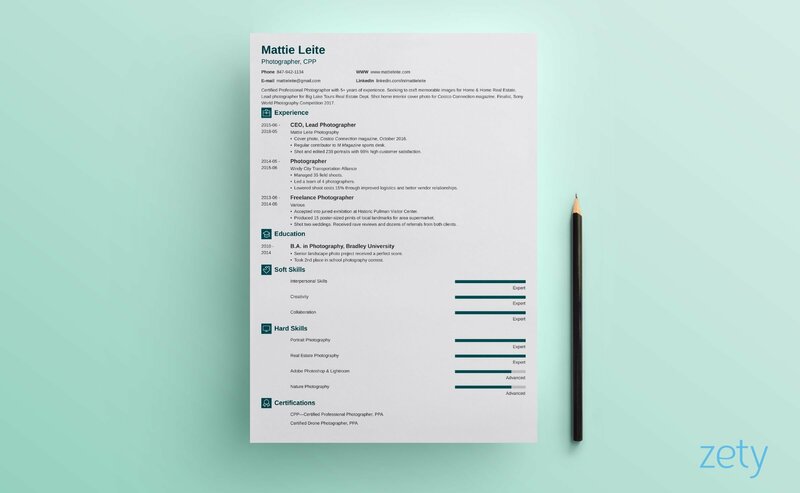 The best free single-page resume templates. One-page resume templates for Word. All templates below are available to download with a single click! We made our “Cascade” one page resume template to make fitting all your relevant information into a single page easy. 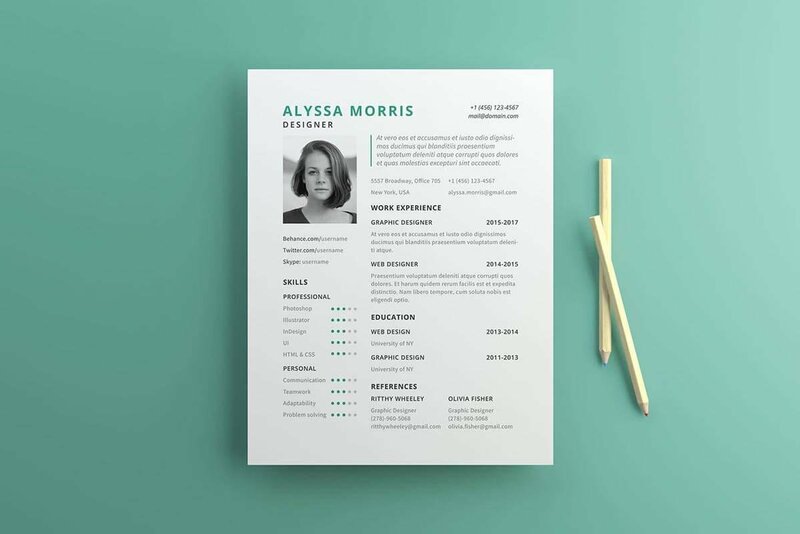 The two-column resume layout makes it super scannable and the template follows a modern resume design that immediately grabs attention. If you’re looking for an elegant, eye-catchy one page resume template for Word, our "Diamond" template will be one of your best bets. 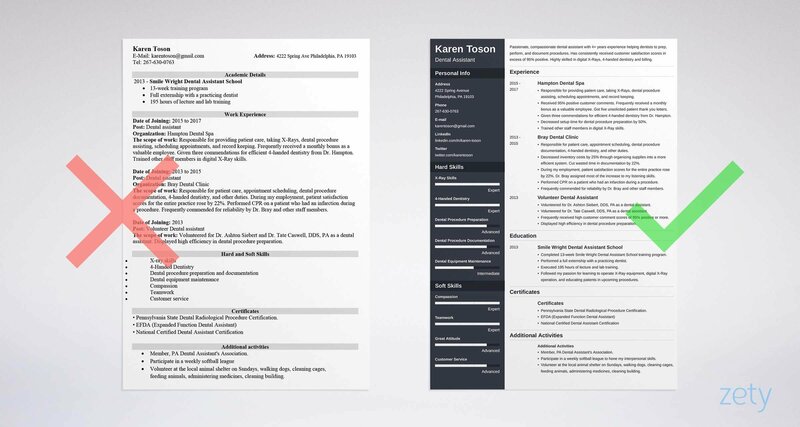 Dark header adds a dynamic touch, the sections are divided in a way that enables you to keep your resume concise. "Newcast" is a great 1 page resume template for candidates across all professions and levels of experience. A basic and simple resume template with a creative touch that will help you stand out from the crowd. 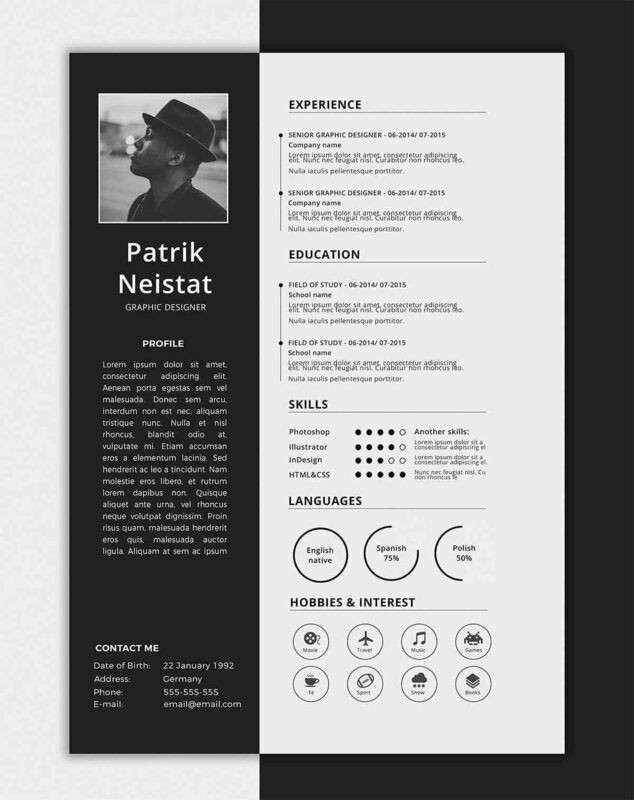 Another beautiful template for a 1 page resume you can download and use right away. 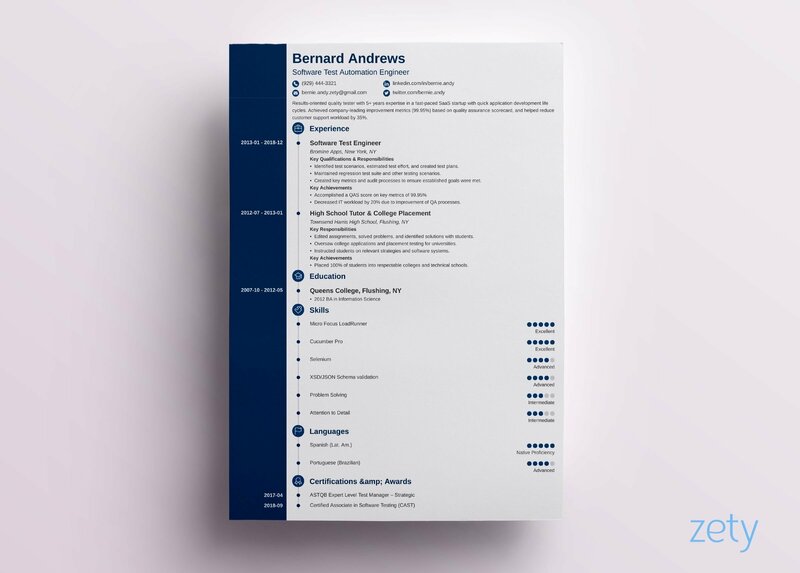 What we love most about this single page resume template is its use of tiny icons across the whole page that guides readers’ eyes to where you want them to go. A modern resume design indeed! 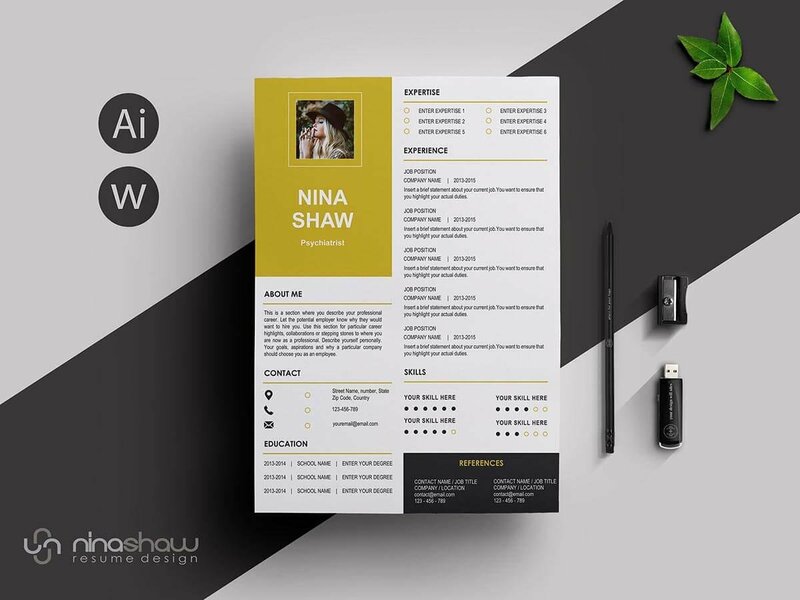 White Graphic design group created this light and crisp resume template to satisfy all job-seekers with a strong sense of aesthetics. 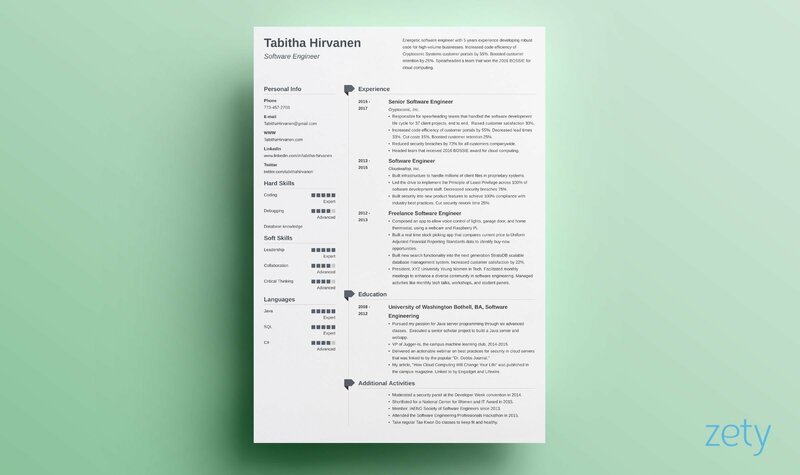 Nice use of light colors and a well-organized layout make this simple one page resume template extremely pleasing to the eye. Available on Behance with a matching cover letter template to help you prepare a polished job application. Cubic: a clean, elegant take on the modern 1 page resume template. 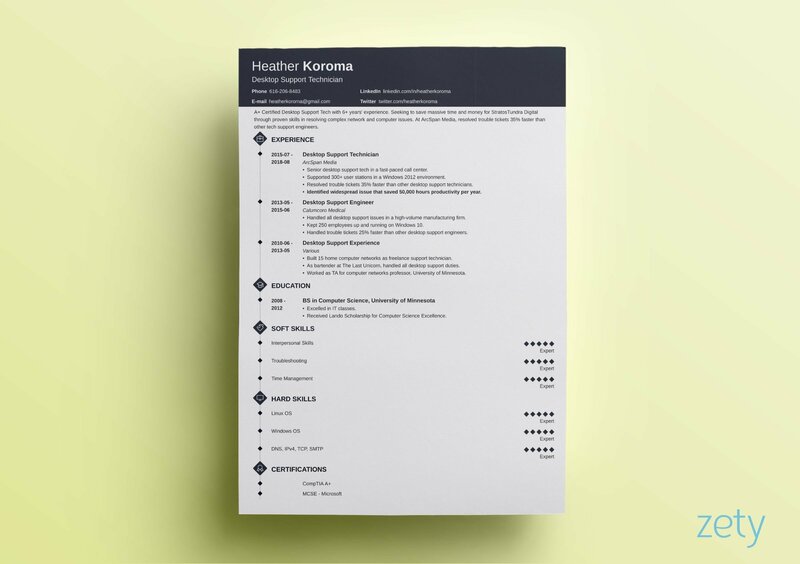 This template is available when you create a resume in our builder, along with 20+ others. Julio. A Ramirez De Freitas’s “Simple Resume Template” is the first free one page resume template for MS Word on our list. The greyscale used in this will surely help you interest recruiters, but it also makes this template not the best one-page resume template to print out. Use it only for digital job applications. 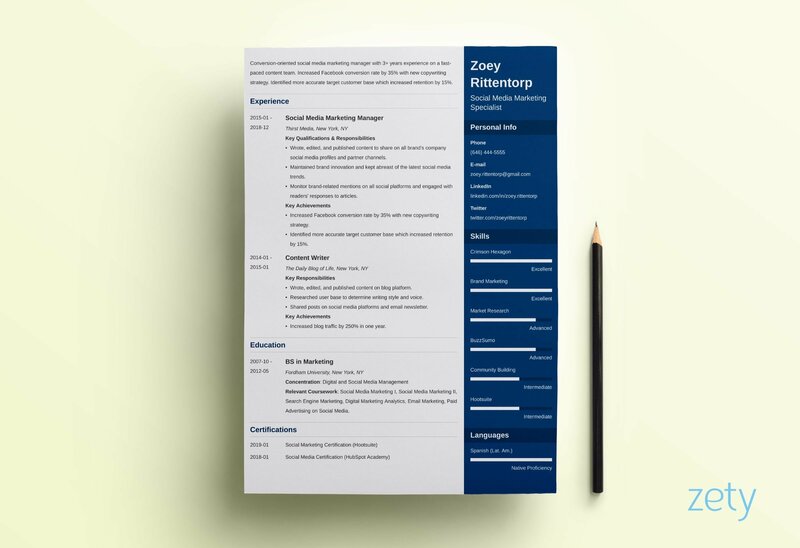 Enfold resume template by Zety has a side bar to allow you to fit more into a single page. Bar charts for skills and languages help recruiters grasp your core competencies quick. White space on the left-hand side gives readers some breathing room. 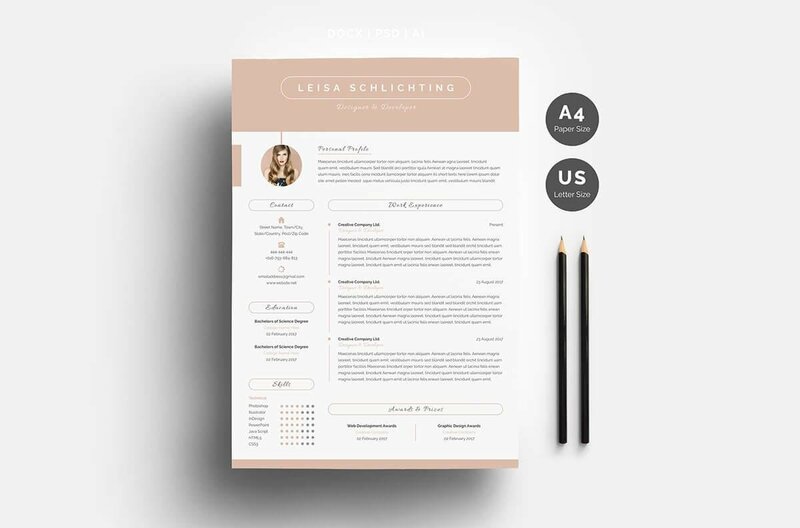 Our "Muse" template has got the right balance between a typical, formal one page resume template and a sprinkle of creativity. A lot of white space makes this one very pleasant to look at. The “Perseus Resume Template” by Nina Shaw over at Creative Market is one of the best single page resume templates out there. It has a header and footer area like many 1-page resumes, but this one left-aligns the header while right-aligning the footer, making it quite unique while still functional. This one’s called “Vibes.” And what sort of vibes does it send, huh? Simplicity, they say, is the ultimate sophistication and here you can witness simplicity at its finest. Tiny, elegant icons next to section headings are eye-catching but not too invasive. Simple bar charts for your skills let you describe your proficiency level easily—legible sections, nice font, clear layout. A great simple one-page resume template for job seekers in traditional industries, as well as students targeting their first job. A great 1 page resume example to show that less can be more. It’s got nothing but the basics, but thanks to smart resume formatting it’ll help you highlight your professionalism and attention to detail. Another one of our very best. Primo uses two columns to save space and let you make a one page resume without any effort. See how the icons next to section titles draw attention to the most important parts of the resume. 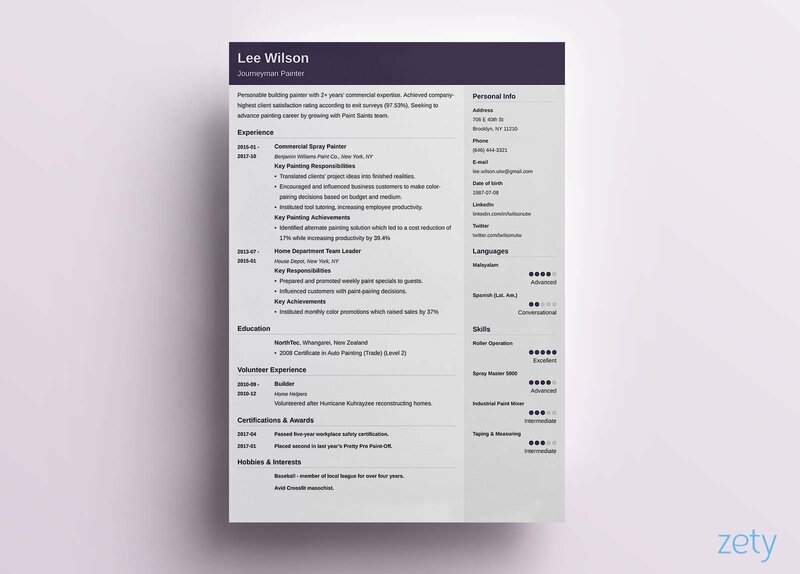 You can access this single page resume template (and 20+ other amazing ones) in our resume builder: create your resume in 5 minutes here. “The Ivy” by ResumeLab is one of the most creative one page resume templates you’ll find. It’s going to work great for graphic designers, art directors, content creators, or other creative positions. 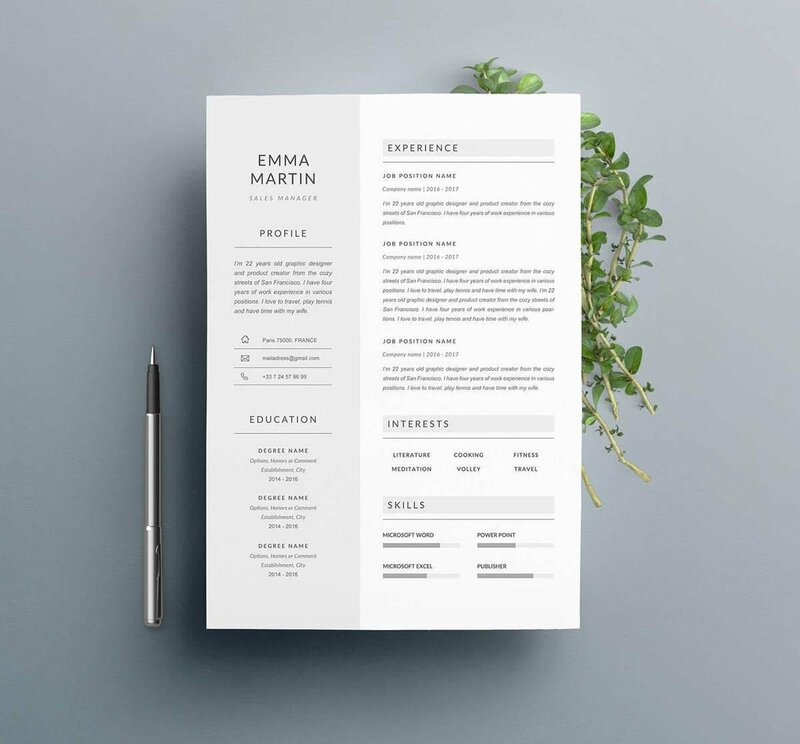 Last one on our list, Le Colibri Creations’ “Emma” 1 page resume template is both modern and minimalist. A great choice for those who want a basic resume without unnecessary fireworks. A one-pager isn’t a must, but, more often that not, recruiters prefer concise and brief resumes. And you can get them one! 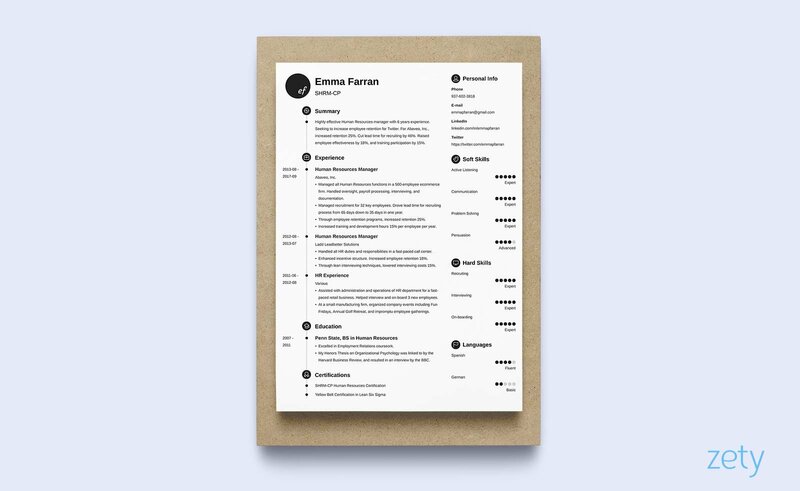 Just pick your favorite one-page resume template from our list above and start writing! Just remember that the contents of your resume matter more that the design. 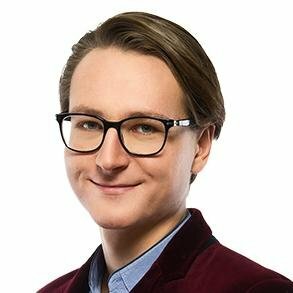 Do you have any questions about making a single-page resume? Do you think that resumes longer than one page can hamper your chances? Give us a shout in the comments below and we’ll get back to you. Thanks for reading!